Calcium is one of the most popular, natural supplements. There is no doubt about its importance, particularly for women of postmenopausal age. Too much calcium in the blood, however, is what is referred to as hypercalcemia. Kidney disease, adrenal gland disorder or simply consuming too much calcium on a daily basis can cause hypercalcemia. Hypercalcemia can lead to pain in the bones, gastrointestinal issues, and in extreme cases, a coma. 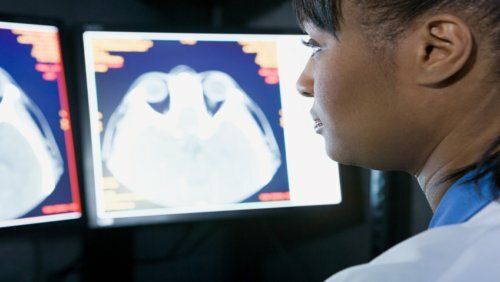 A team of Dutch researchers have discovered that high levels of blood calcium, rather than calcium in the bones, are linked to a faster decline in cognitive ability. In other words, high blood calcium is a signal that your mind might be weakening more quickly. Previous studies have illustrated that small rises in calcium within nerve and brain cells can actually kill those cells. While it’s known that calcium can slip from the blood into the brain, the link between calcium and one’s mental ability has never been clear. High blood calcium levels can be caused by several diseases, including cancer, kidney failure, and thyroid problems; they could also be a factor in the link. The Dutch researchers also suggest that each person has a “set point” and that, once the blood calcium levels reach it, cognitive decline can ensue. They studied 8,000 adults over the age of 75 for more than a decade. This included 600 people who were followed from the age of 85 to age 90. The team discovered that the higher the blood calcium, the worse the cognitive function. Higher blood calcium levels were linked to participants having a faster mental decline. The link was quite strong and needs to be studied further. So, how are calcium levels inside and outside nerve cells hurting the mind? To answer that, it’s best to get your calcium levels checked as part of a regular doctor’s visit. And keep exercising your mind and body to stave off age-related cognitive decline as long as possible. Calcium is in a lot of food: Broccoli, spinach, kale, asparagus and cabbage all contain high amounts of calcium. But the two main food groups that contain calcium are dairy and seafood. With dairy products, yogurt, milk, and cheese are three products that stand out as having a high concentration of calcium. Be cognisant about the seafood you eat: Many seafood products, such as shrimp, cod, and salmon, contain high levels of Vitamin D—a vitamin responsible for regulating the calcium levels in the body. Finally, drink a lot of water throughout the day to prevent calcium levels from getting too high. Exercise is important too, in particular resistance training to strengthen the bones. Pearson, O., “Low Calcium Diet for Hypercalcemia,” Livestrong.com, September 24, 2015; http://www.livestrong.com/article/489476-low-calcium-diet-for-hypercalcemia/. Roth, E., “Foods to Avoid With Hypercalcemia,” Livestrong.com, September 27, 2015; http://www.livestrong.com/article/32771-foods-avoid-hypercalcemia/.